10 Celebrities Who’ve Killed Someone [infographic] ~ Visualistan '+g+"
There are several famous individuals who actually have killed someone (and been found guilty). Granted, the majority of these crimes were not murders committed in cold blood, but it's still crazy to think that there are celebrities out there who are responsible for taking the life of another person. 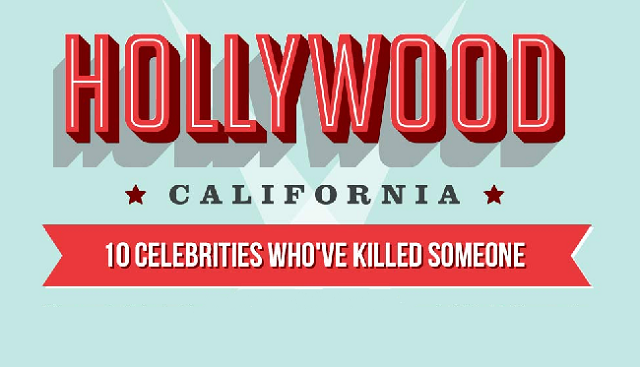 Check out the following infographic about 10 celebrities who have killed someone.